Ketamine infusion therapy is a breakthrough treatment for depression that hasn’t responded to traditional psychiatric medication and treatment. 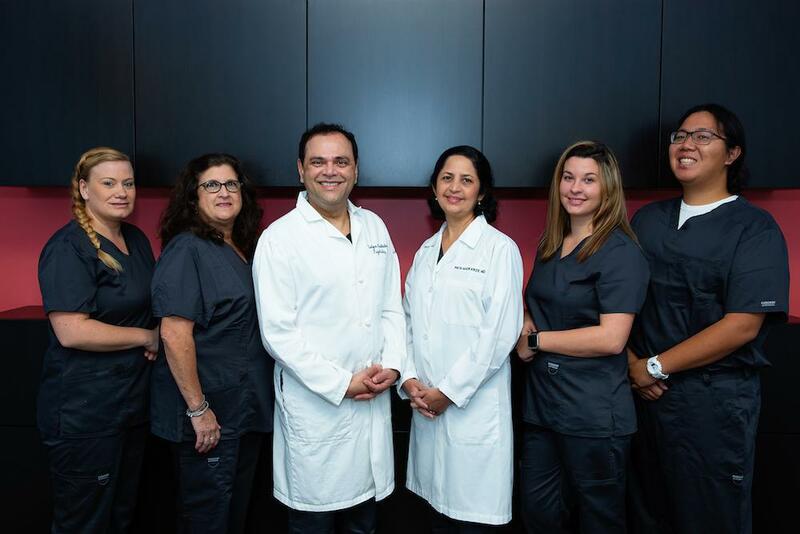 At his clinic in Jacksonville, Florida, board-certified psychiatrist Satyen Madkaiker, MD, FAPA, provides ketamine infusion therapy to adults with severe and persistent depression. A series of ketamine treatments can have quick, life-changing effects. To learn if ketamine treatment is right for you, call or schedule an appointment online today. Our team is a leader in the management of treatment-resistant depression. Dr. Madkaiker has decades of experience in managing severely ill psychiatry patients with a variety of diagnoses.including depression, anxiety,OCD, PTSD, and other treatment-resistant psychiatric conditions. 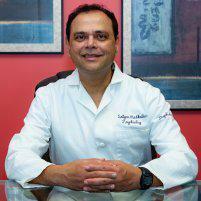 Dr. Madkaiker has 12 years of experience in Ketamine assisted electroconvulsive therapy. We use state-of-the-art monitoring equipment to ensure your comfort and safety at every step of the ketamine infusion process, including the continuous blood pressure, heart rhythm and blood oxygen level assessments. We have the expertise to rapidly treat possible side effects and optimize your comfort during the infusion. We are caring and compassionate to the emotional, mental and physical needs of our patients, ensuring their utmost comfort from the moment they step into our clinic. We are committed to providing the highest and most compassionate level of care. Dr. Madkaiker recommends ketamine infusion therapy to certain patients with treatment-resistant depression. Ketamine, historically used as an anesthetic, has shown considerable promise as a treatment for depression that doesn’t respond to other forms of treatment like medication, psychotherapy, and transcranial magnetic stimulation. Ketamine infusion therapy may also be effective for bipolar disorder, obsessive-compulsive disorder, substance use disorders, and even traumatic brain injuries that affect mood. How does ketamine work differently from other medications? Ketamine works to repair synapses that have been compromised by depression so the neurotransmitters, or chemical messengers, that regulate your mood can work more effectively. If you’ve been struggling with depression, you’re likely familiar with the process of trying antidepressants, which take several weeks to begin working. And if a medication doesn’t work, you often need several weeks to know for sure, leading to a long process of trial and error that may ultimately not help with your condition. When you have severe depression, this process can be very discouraging. Ketamine, by comparison, works quickly, with many patients reporting dramatic effects following just one treatment. Feelings of dread, hopelessness, and despair, even if they’re severe enough to make you think about hurting yourself, can quickly dissipate within a day of your first ketamine treatment, if not immediately afterward. If seemingly nothing has helped with your depression, ketamine may be the treatment you’ve been waiting for. Isn’t ketamine a recreational drug? It’s true that people abuse ketamine as a “club drug,” taking high doses to experience dissociative, hallucinogenic, and tranquilizing effects. However, ketamine is legal for use in medical settings and is safe to use under the medical supervision of a professional like Dr. Madkaiker. When you undergo ketamine infusion therapy at his clinic, you’ll receive a low dose in a controlled environment, which isn’t comparable to how people use ketamine recreationally. 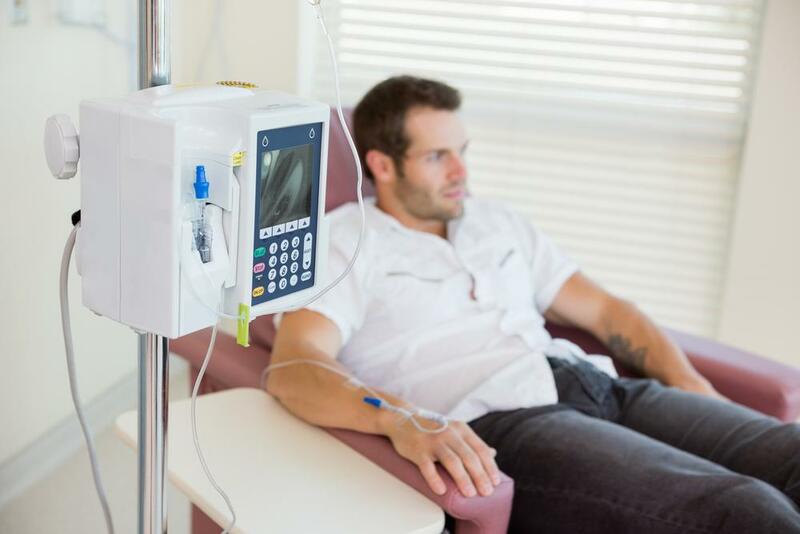 What should I expect during a ketamine infusion therapy session? Dr. Madkaiker administers ketamine through an IV to ensure you get a steady dose appropriate for your body weight. The treatment lasts between 40-60 minutes, depending on the size of the dose. You’ll remain awake because you won’t receive a large enough dose to lose consciousness. There’s a chance you’ll have an “out of body” experience or more subtle changes in your perceptions, such as seeing bright colors. Many patients find these side effects of ketamine pleasant, and Dr. Madkaiker and his team will make sure you feel safe and comfortable while you undergo ketamine infusion therapy. Dr. Madkaiker also recommends having a loved one in the room during the treatment. The effects of ketamine wear off soon after treatment, and you’ll likely be able to leave within a half-hour of the end of the procedure. You shouldn’t drive a car, operate machinery, or make important decisions for 12 hours after the procedure, so make sure to arrange transportation home. To learn about how ketamine infusion therapy can give you the relief you’ve been looking for, call the office of Satyen Madkaiker, MD, FAPA, or schedule an appointment online today.